Here is an interesting poetic take on a very young flyer’s first solo experience. She who started flying at the age of 17, with the single engine rating obtained from the then operational Yash Air, and the multi-engine from Sydney. 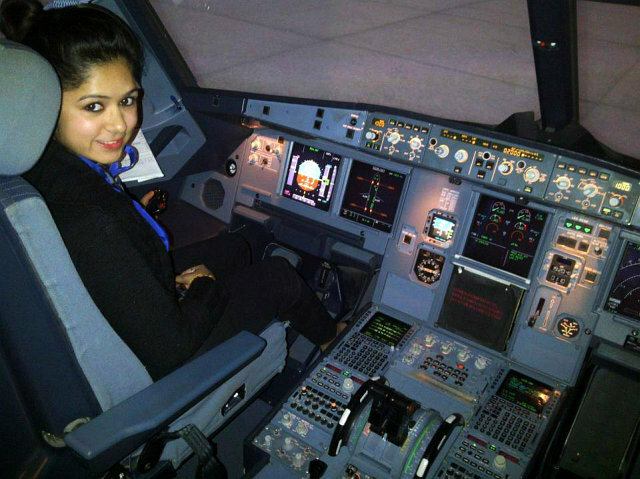 With a Bachelors in Science in Aviation, and a type rating on the Airbus A320, Priya Jain is all set to spread her wings when an opportunity at an airline comes knocking. One of the rare few who openly admit, “I always wanted to be the pilot because I wanted people to look at me with respect. So that I can be a white collar officer, so that I can travel the world and at last to have a grand lifestyle." “Oh! Seat next to me is vacant, idiot"
Oh my Cessna you are so pretty! is it a poem or its a story telling ?